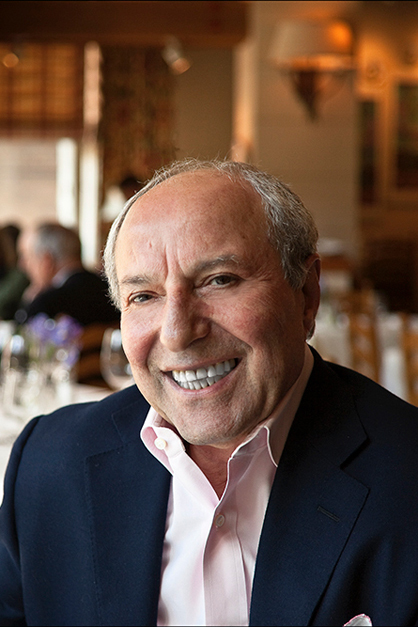 Gail and I were sad to learn of the death of Carmine Smeraldo, the founder-owner of the Seattle restaurant Il Terrazzo Carmine. I have written about Carmine’s many times, most recently after we ate there in November to celebrate Gail’s birthday. We have celebrated many birthdays there in recent years, and always wonder why we don’t go more often. I love their cannelloni, their rigatoni, their constantly changing risotto specials, their lamb, their green peppercorn steak. Gail’s partial to their ossobuco. But more than that, it’s such a warm and welcoming place. Carmine will be greatly missed. Here’s an excerpt from yesterday’s Seattle Times obituary. The food is one thing at Il Terrazzo Carmine. Carmine Smeraldo would greet customers at his Pioneer Square restaurant with warmth, offering a handshake, or oftentimes, a hug. He knew loyal crowds turned up for perfectly smoked salmon dishes and handmade ravioli stuffed with bursts of wild mushroom. But he also knew his customers wanted more. They came for an experience, an escape, a desire to envelop their senses and return to their lives a little happier than how they felt an hour — or two, or three — before. At this, Mr. Smeraldo was the master. The interior summoned Mr. Smeraldo’s homeland with its terra cotta floors, rustic chandeliers and high ceilings. It conveyed a feeling of “old-school romance,” said Seattle Times restaurant critic Nancy Leson.